The Confraternity’s annual pilgrimage brought Our Mother of Perpetual Help to the fore while uniting the Vice Province of Nigeria in shared devotion. 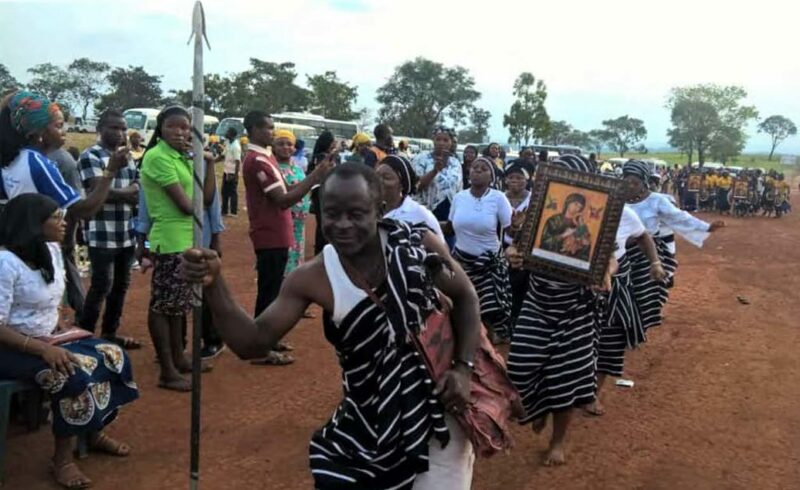 More than 10,000 Catholic Nigerians made a pilgrimage to the National Shrine of Our Mother of Perpetual Help for the Confraternity of Our Mother of Perpetual Help’s national convention in Ugwogo Nike, Enugu, Nigeria. Fr. Joterio Aghoja, Vice Provincial Superior of the Vice Province of Nigeria, welcomed pilgrims from 28 archdioceses and dioceses for the joyous celebration in the eastern part of the country served by Redemptorist confreres. The theme of this year’s event on November 2-4 was “Convention of the Most Holy Rosary.” Archbishop Augustine Obiora Akubeze, Metropolitan Archbishop of the Archdiocese of Benin who also serves as president of the Catholic Bishops Conference of Nigeria, was the chief celebrant. Participants enjoyed presentations, a rosary procession and a dance parade, and had opportunities to speak with counselors and confessors. A few days before the annual celebration, Fr. Joterio convoked regional assemblies for confreres to discuss divisive issues and begin to heal and revitalize the Vice Province. Nearly every confrere participated in the regional gatherings, which ended with joyous celebrations. Healing is a process, but much progress has already been achieved as confreres focus on the collective mission of the Vice Province of Nigeria. The Confraternity’s annual pilgrimage and convention brought Our Mother of Perpetual Help to the fore and united the Vice Province of Nigeria in our shared devotion.